Okay I admit it I am a Harry Potter fan and I love Hogwarts. 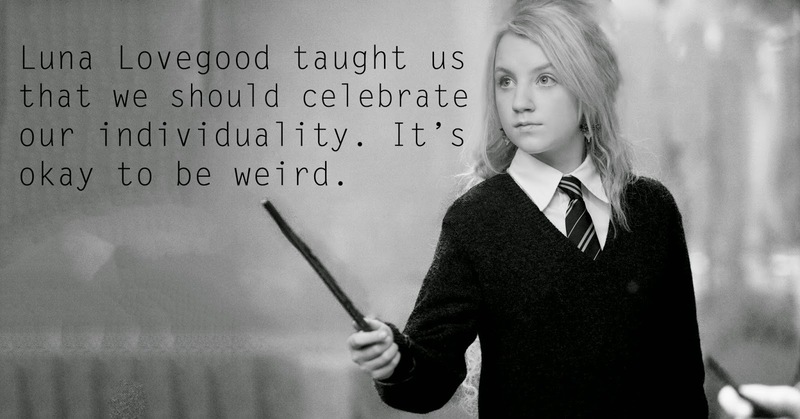 I like Ravenclaw in particular as I am like Luna Lovegood. Am I weird ? Oh yes I am definitely weird and I am not about to change that I have been a little weird all my life and that me unique. So when I was invited to join the Hogwarts team on Sparkpeople I jumped that the chance and was put in Ravenclaw House. I was so pleased and decided to make something in Ravenclaw colours one was the cushion cover in the post below and now this. 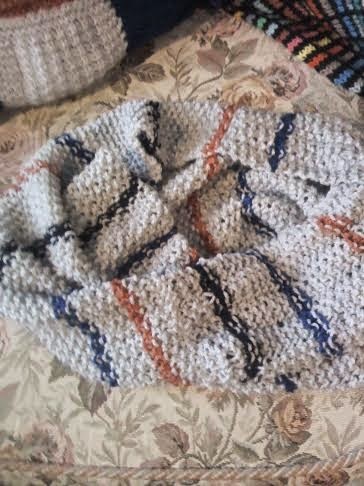 It is a Mobius scarf/cowl/ shoulder warmer.It is knitted flat so not a true Mobius but a fake one. Repeat this row until it as long as you want it to be and Bind off in pattern. It so simple anyone can do it. My mobius is in silver grey with two different blue yarns and a copper coloured yarn for the stripes. 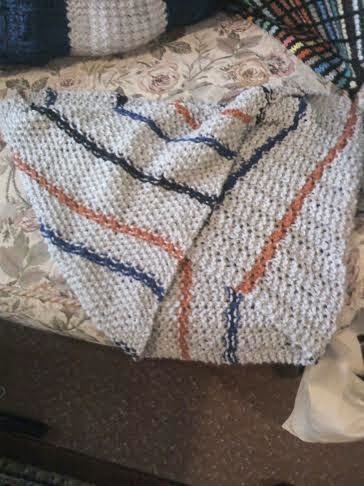 I added the stripes randomly where I thought it was time to change colour and did the stripe in two rows. It is wide enough to pull over my shoulders so it can be worn on chilly days in the Spring in the garden or as a scarf in winter. It is light and warm at the same time making it very versatile, not the usual Hogwarts scarf and I think Luna would approve.